This course covers 'Mental Wellbeing’ and explains why it is important. Advice is given on how to follow the 5 steps to mental well being and how to practice ‘Mindfulness’. 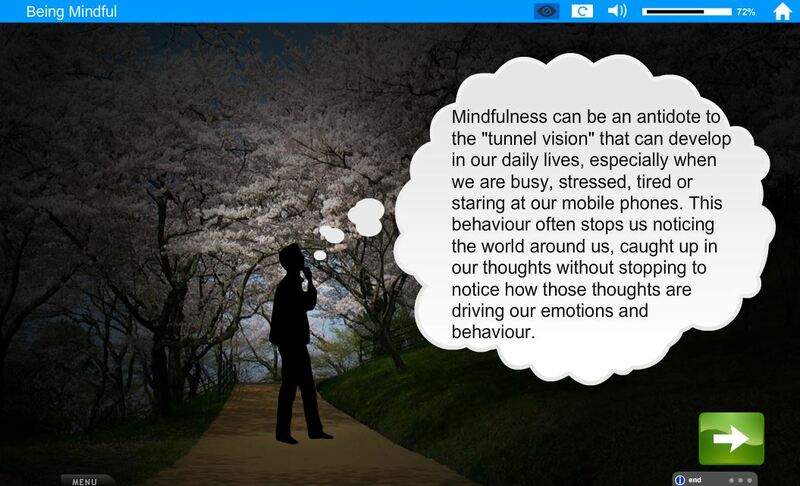 What is and how to practise 'Mindfulness'?